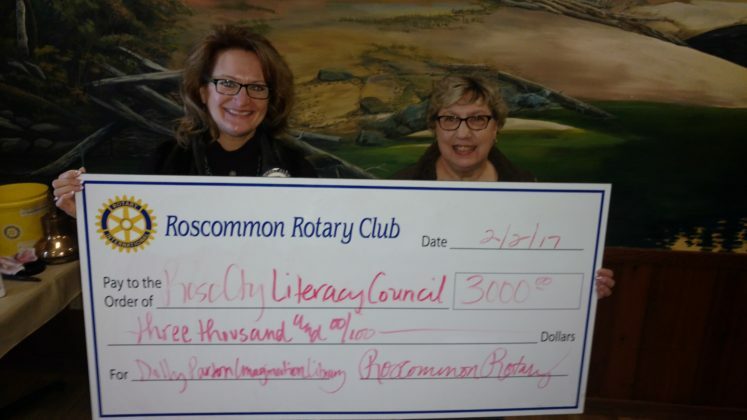 Deb Roznek of Roscommon County Literacy Council received a check from Roscommon Rotary President Barb Costello to benefit the Dolly Parton Imagination Library. Roscommon Rotary attended lunch with the 3rd grade class at Roscommon Area Public Schools today. 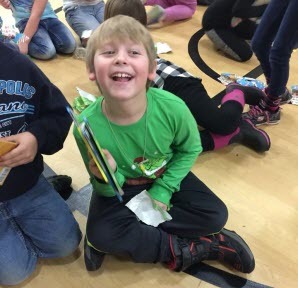 Pizza, lunch and gifts of books for each child in their reading level selected by their teachers. An annual tradition we enjoy!